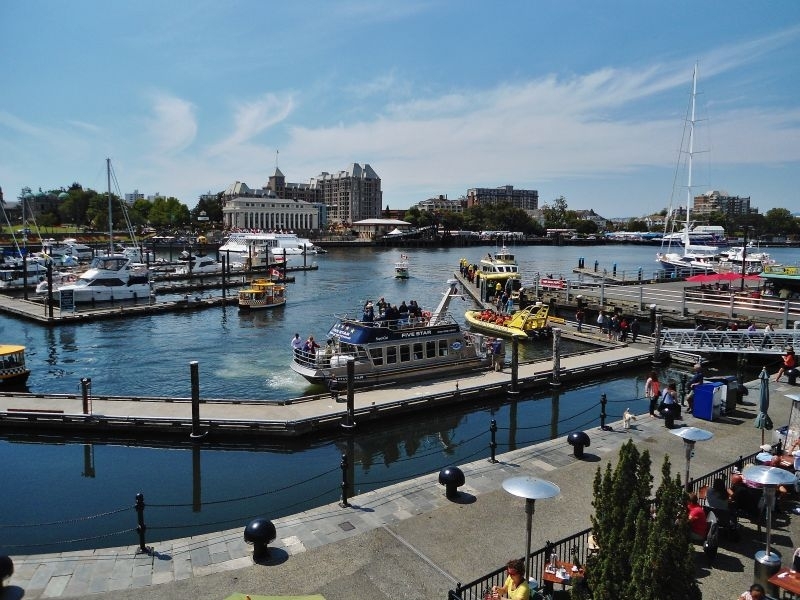 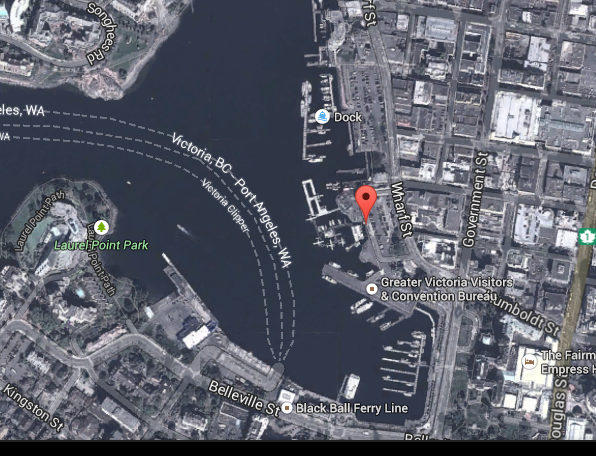 The focal point of a trip to Victoria BC is a visit to its famed Inner Harbour. 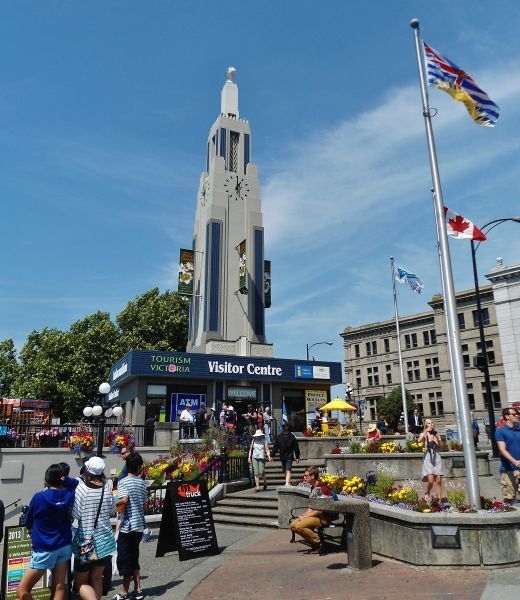 The area is packed full of interesting things to do and see. 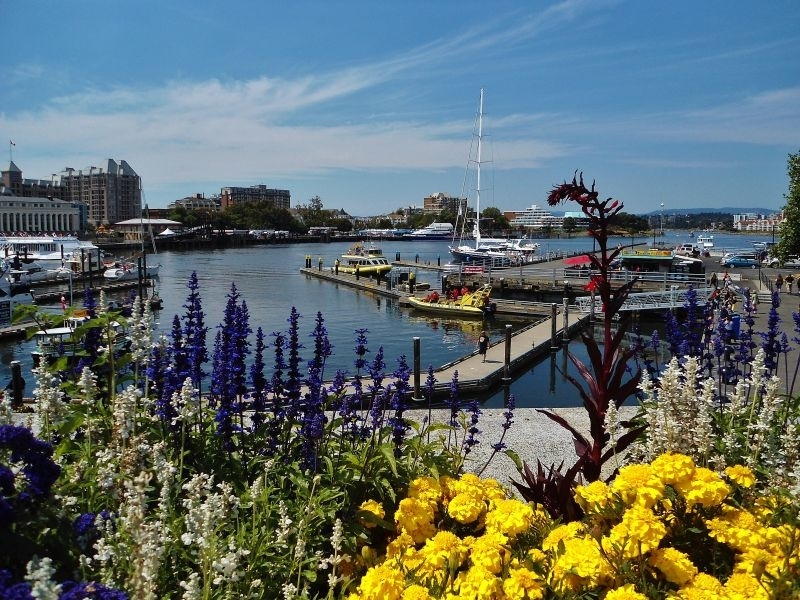 On a warm, sunny summer day the harbour is a beehive of activity on and off the water. 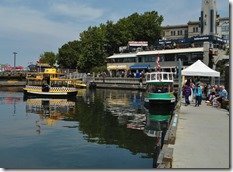 On the water you’ll witness boat traffic of all sorts and sizes ranging from the little “Pickle Boat” harbour ferries shuttling tourists here and there, all the way up to the large MV Coho ferry bringing passengers and vehicles from Port Angeles, Washington. 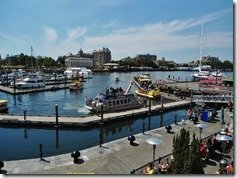 The harbour is also an airport. 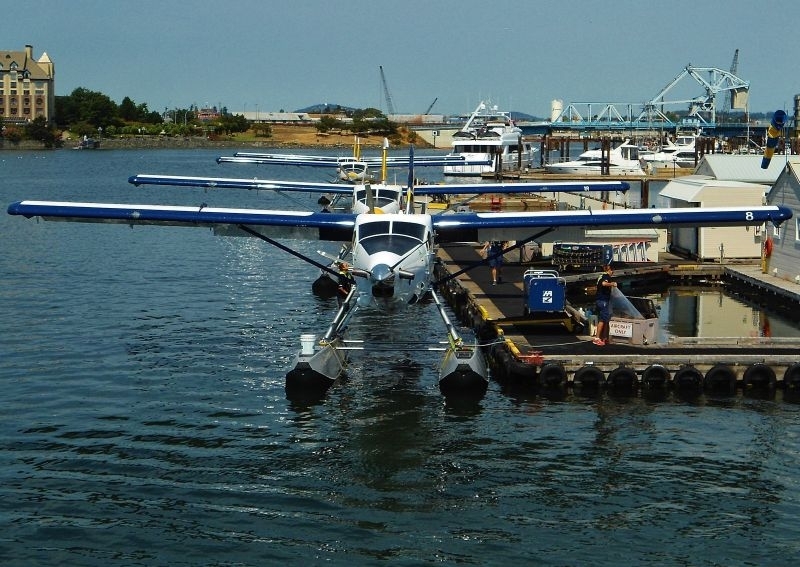 Seaplanes add to the busy scene as they take off and land throughout the day. 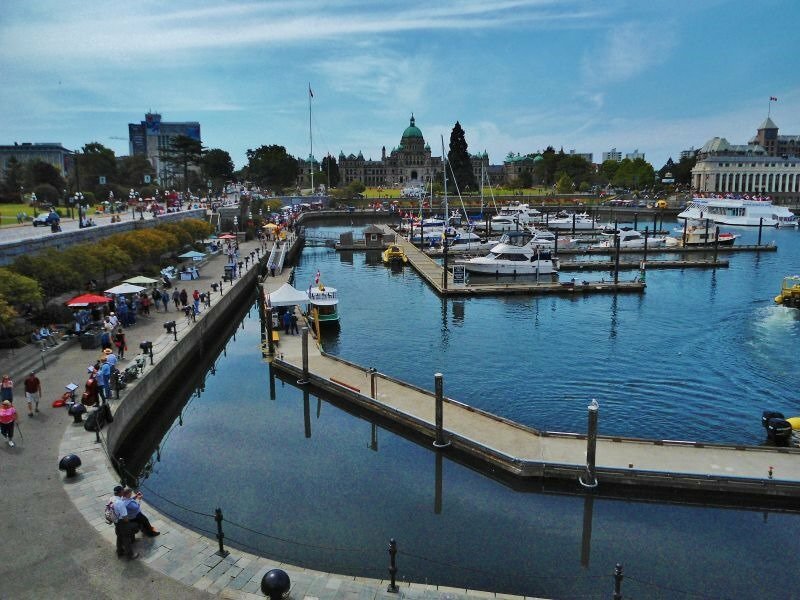 It’s easy to get a good vantage point to all the activity from the seawall walk ways making up most of the perimeter. 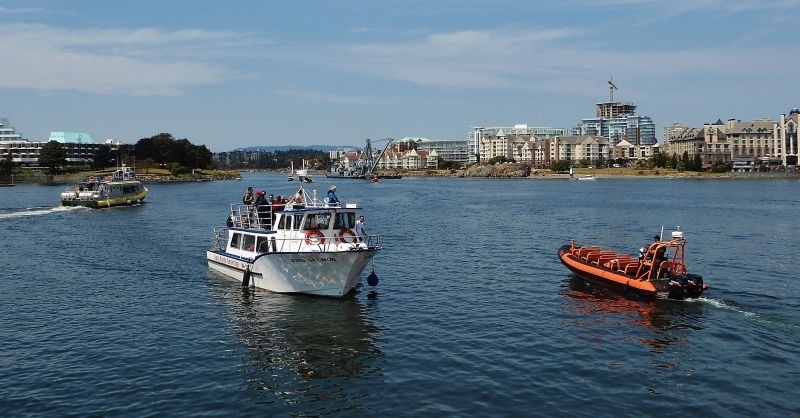 If you want to get out and explore the waters around Victoria, the Inner Harbour is the place to book an excursion. 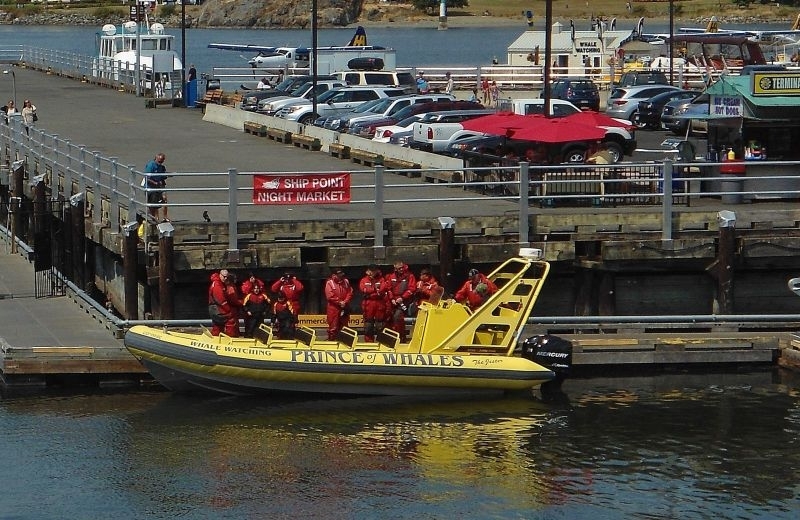 They have whale watching tours departing from the docks all the time in several varieties of vessels. 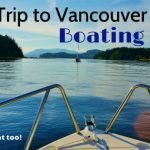 If you have a strong back and don’t mind a little sea spray in your face take the Zodiac boat type trip where they dress you up in bright orange survival suits! 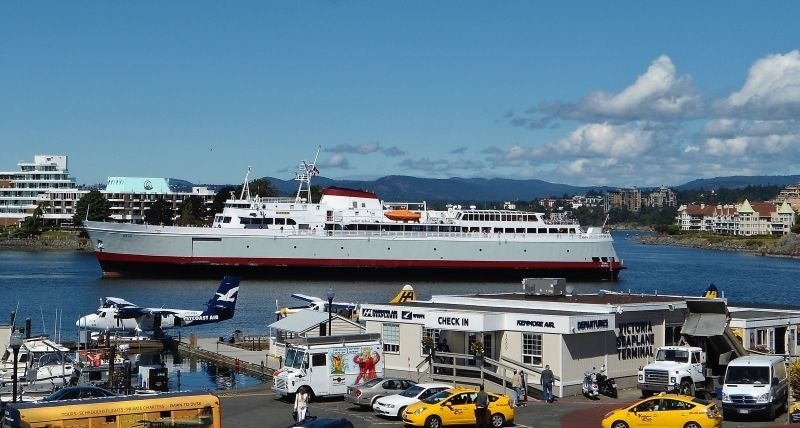 Me, I opt for the more comfortable larger crafts with a nice viewing platform on the roof. 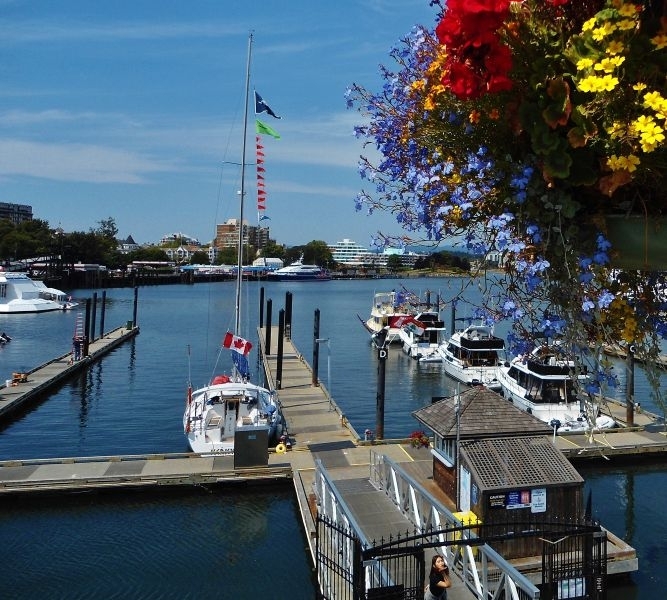 Besides whale watching there are dinner cruises, fishing charters and sailing trips available. 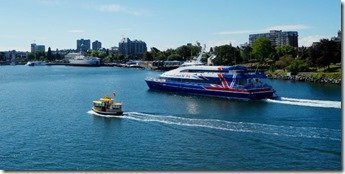 For an inexpensive, shorter excursion grab one of the harbour ferries, known to the locals as “Pickle Boats” for a trip up the Gorge Inlet or over to Barb’s Fish’n Chips for a yummy lunch on the docks. 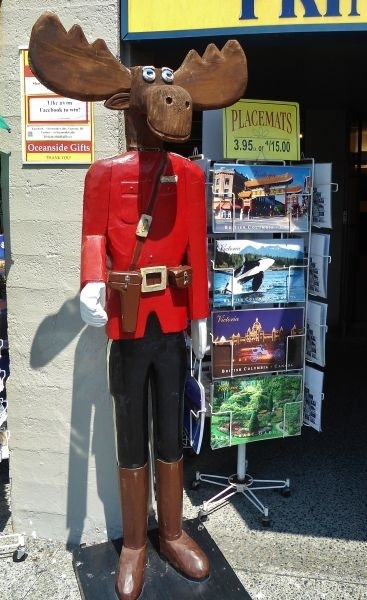 On land the biggest pastime is strolling along the upper and lower causeways taking in the beautiful scenery and stopping here and there to watch a busker show or shop the arts and crafts booths. On a warm summer day the area will be teaming with tourists from all over the world snapping photos and gobbling down the local cuisine. 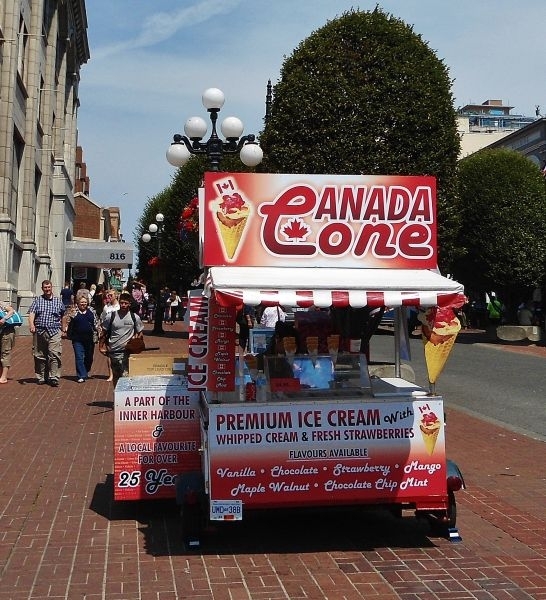 Speaking of food! 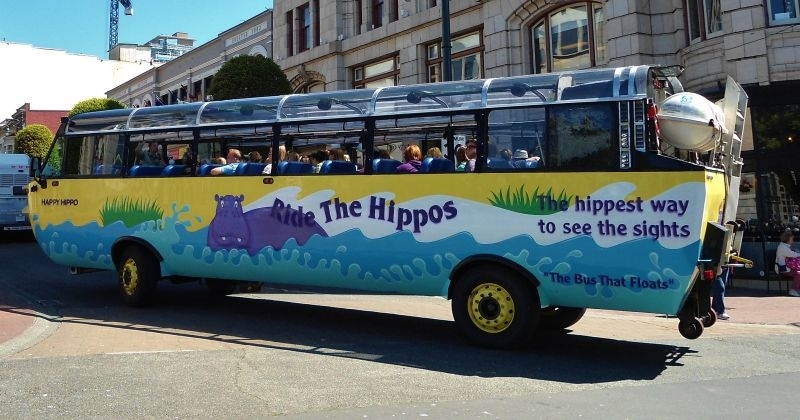 That’s the second biggest pastime here. 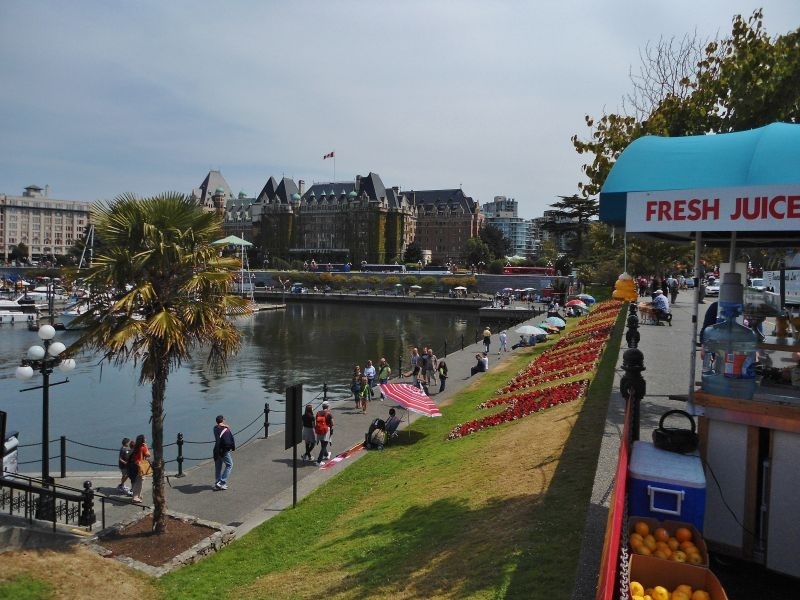 From world class dining all the way down to an indulgent hotdog from a street vender, Victoria’s Inner Harbour has it all. 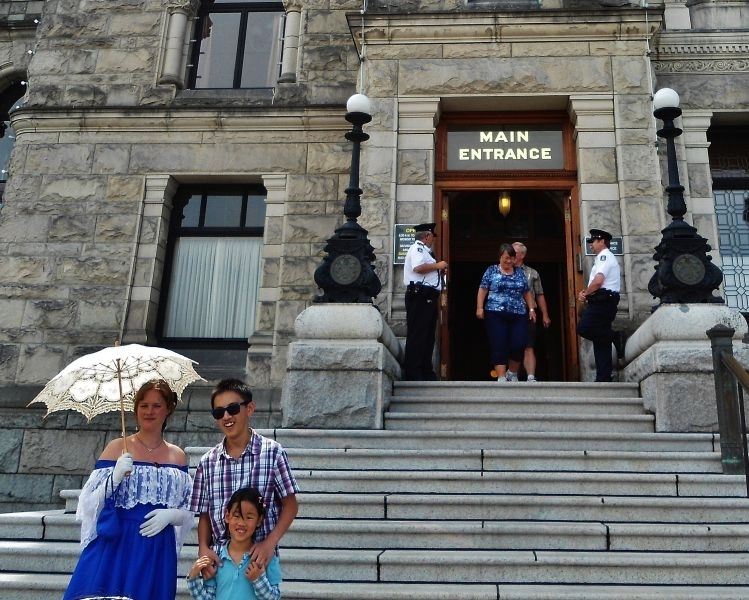 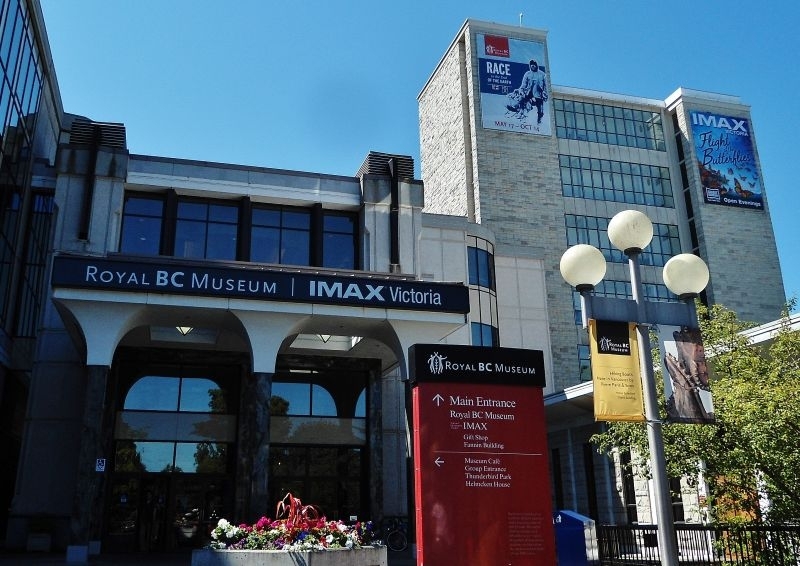 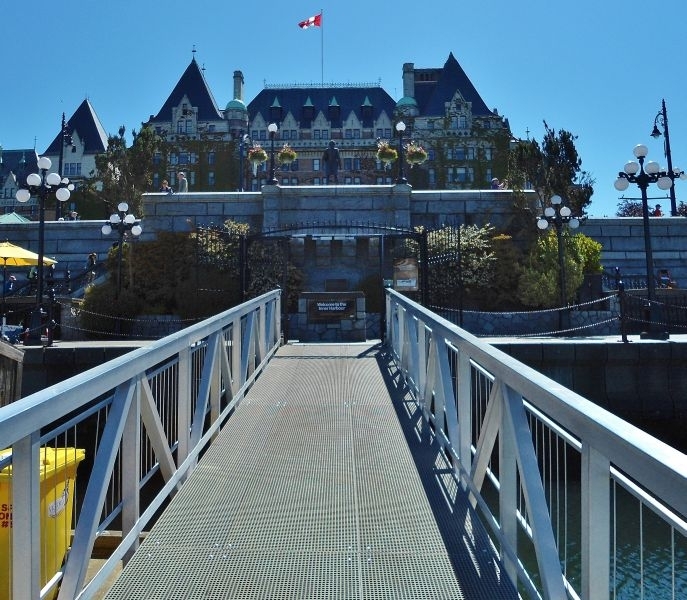 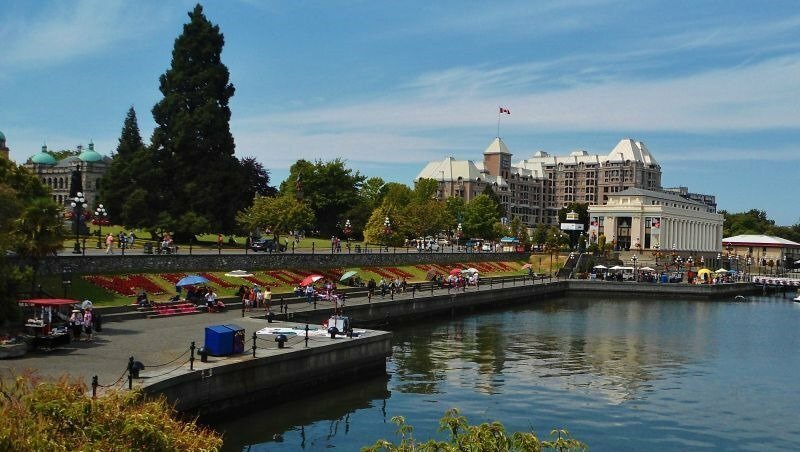 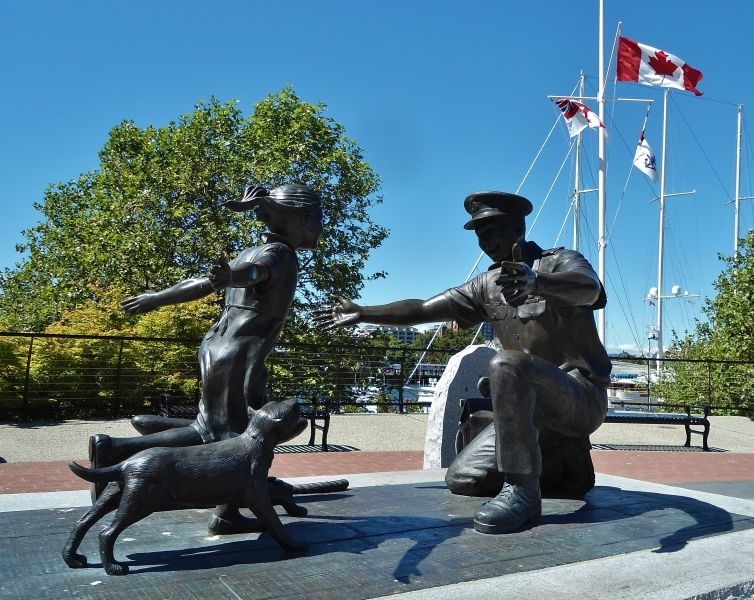 If history is your bag then Victoria’s Inner Harbour is the place for you. 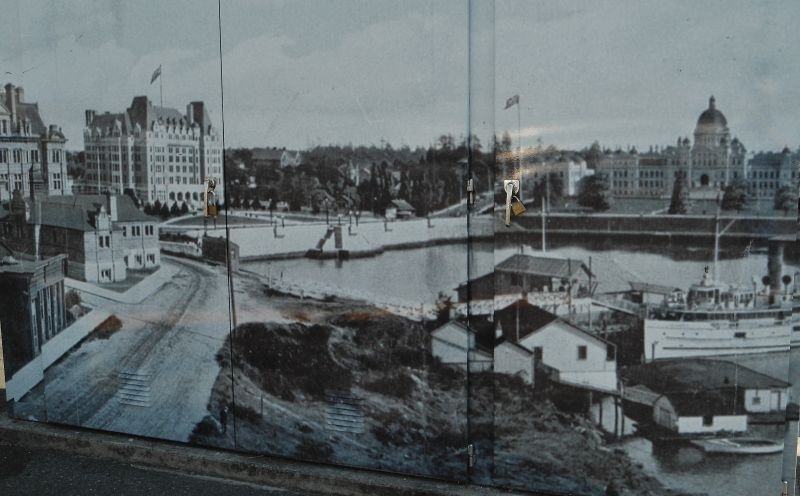 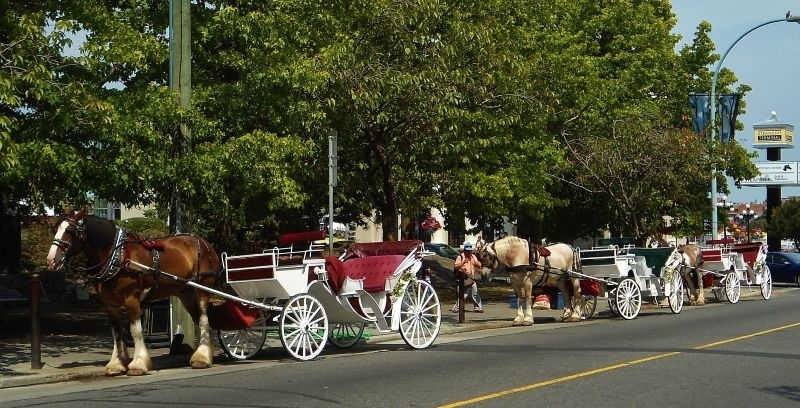 Victoria was founded in the mid 1800’s and many of the buildings around the harbour date back to the Victorian time. 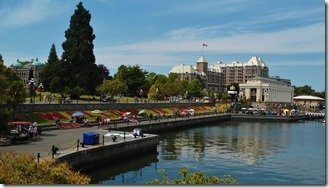 The City of Victoria is great at preserving old architecture and even the new condos dotting the landscape around the harbour are built to blend into the historic look and feel of the landscape. 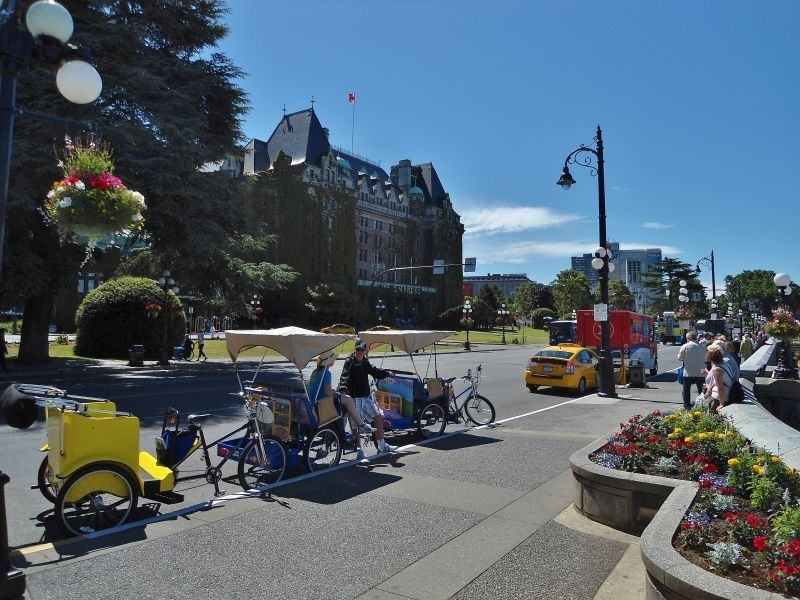 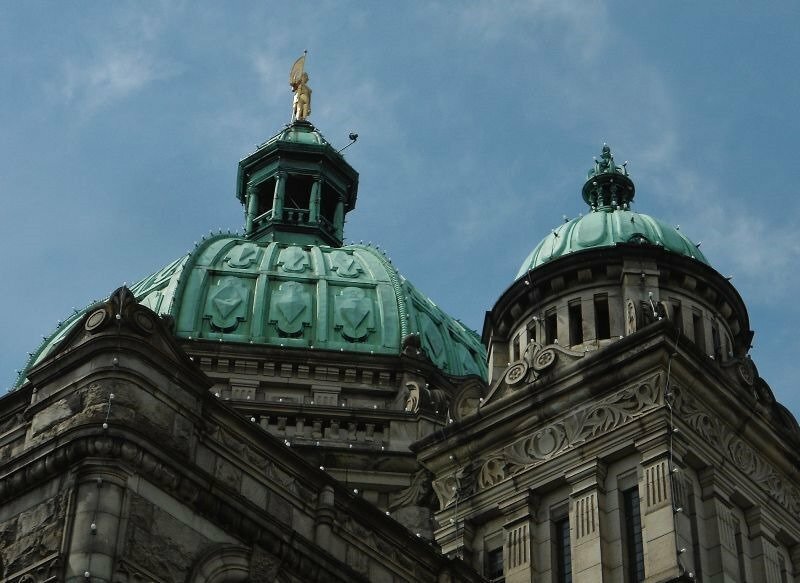 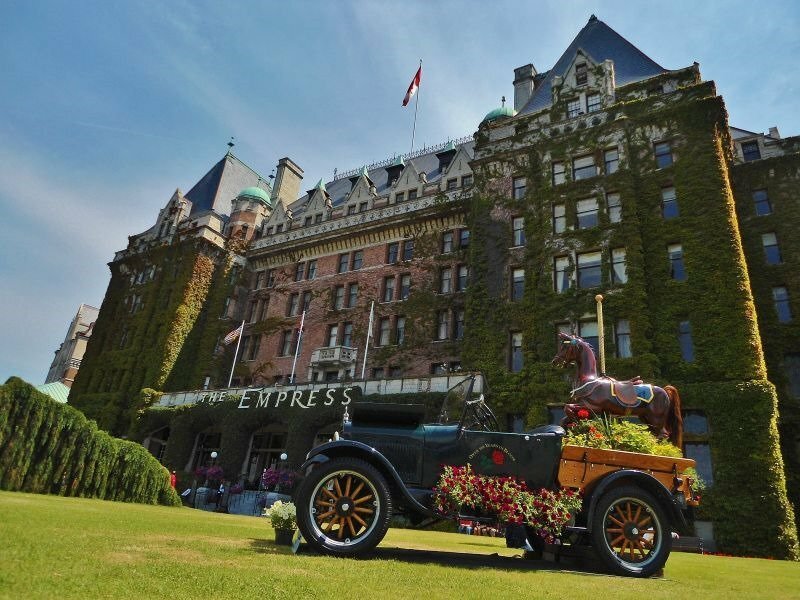 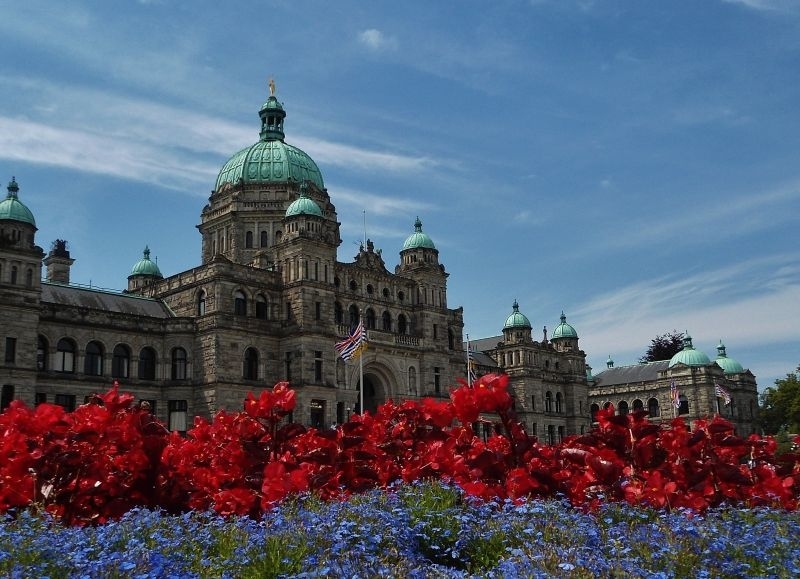 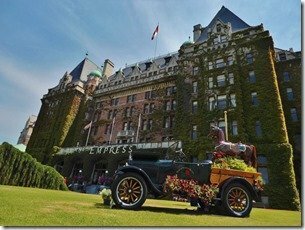 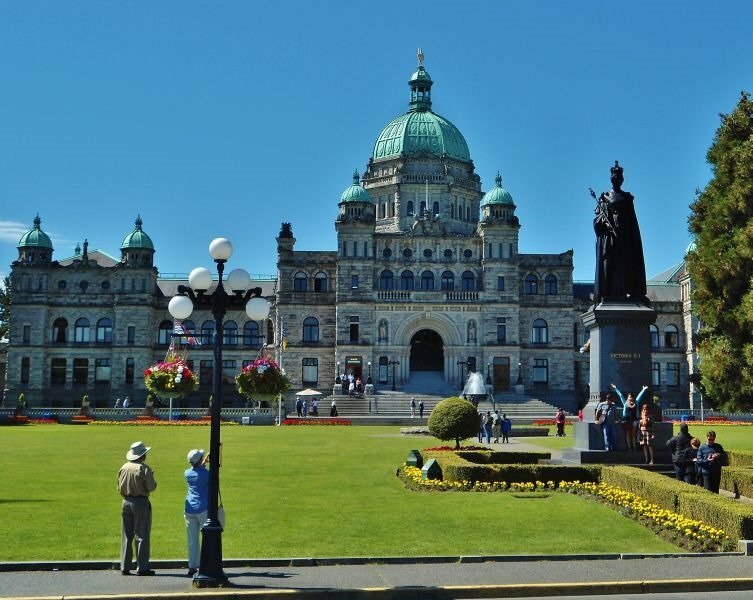 The two most prominent buildings are the Empress Hotel and the BC Parliament Buildings which house the legislative assembly of British Columbia. 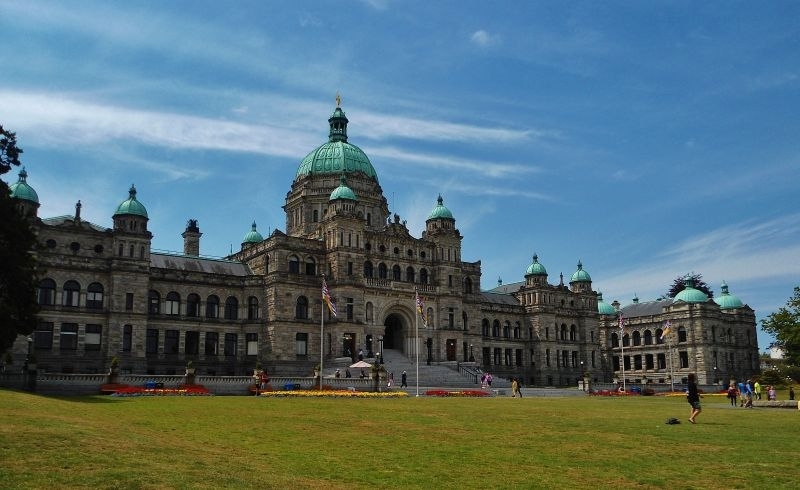 Victoria is the capital city of British Columbia and the government business takes place in this magnificent building. 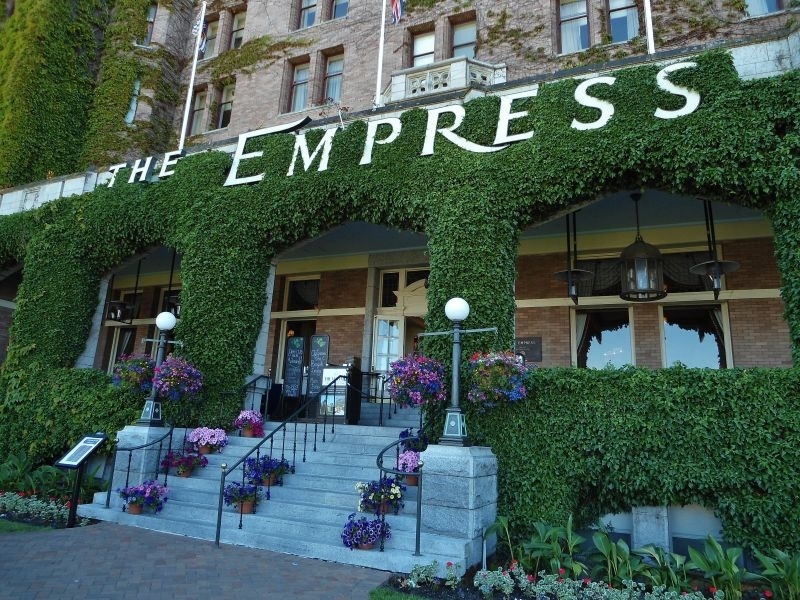 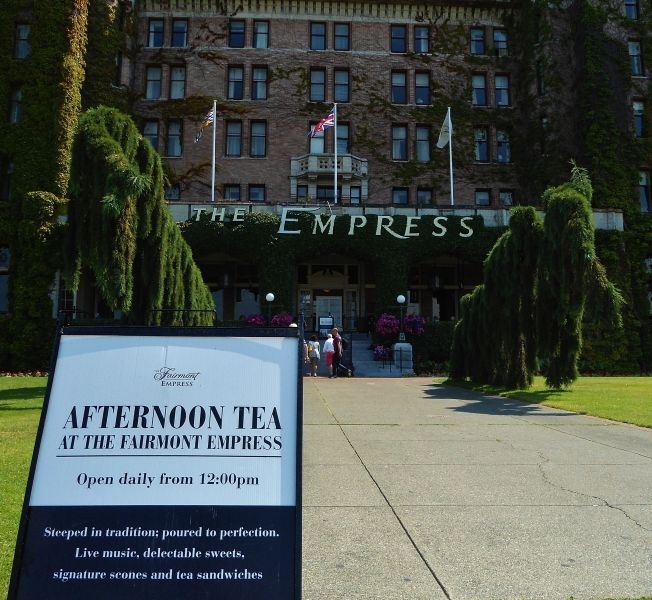 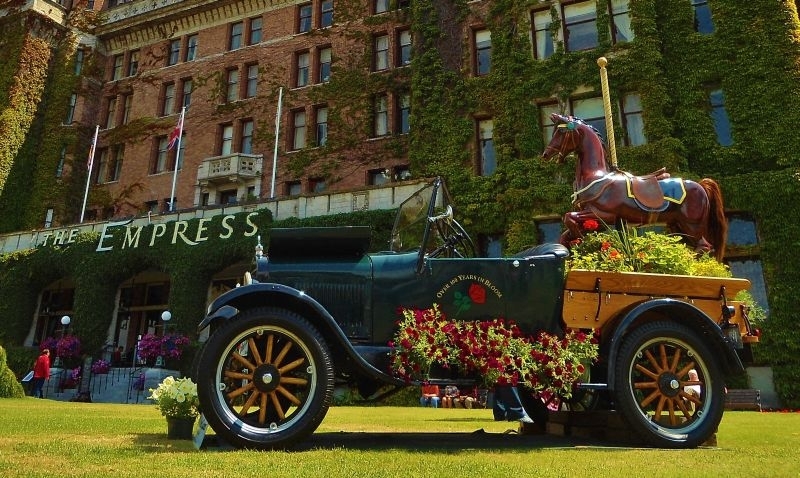 At the Empress the big thing to do is Afternoon Tea with delicate sandwiches and deserts. 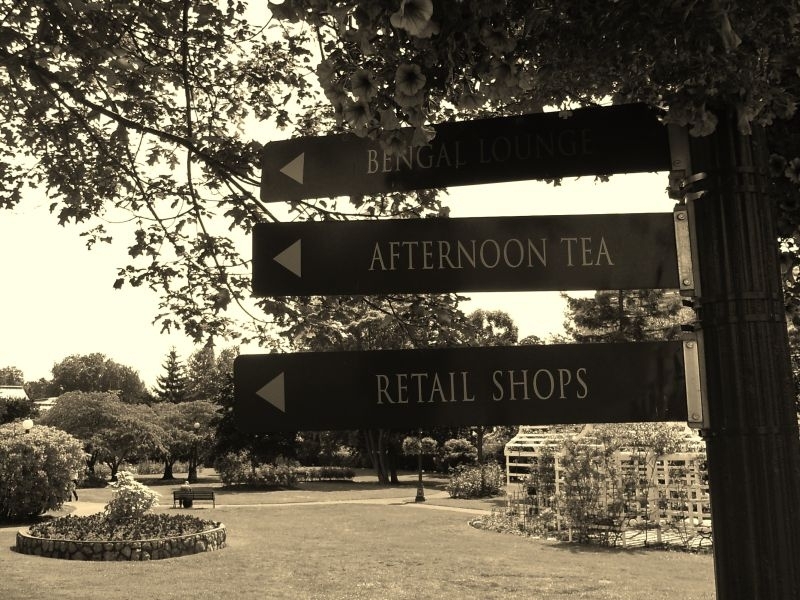 Myself, I like dining in the Bengal Lounge with it’s east India colonial style decor. 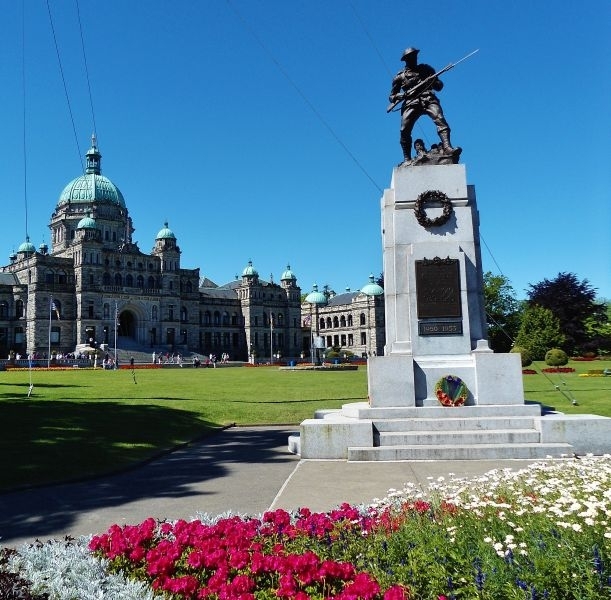 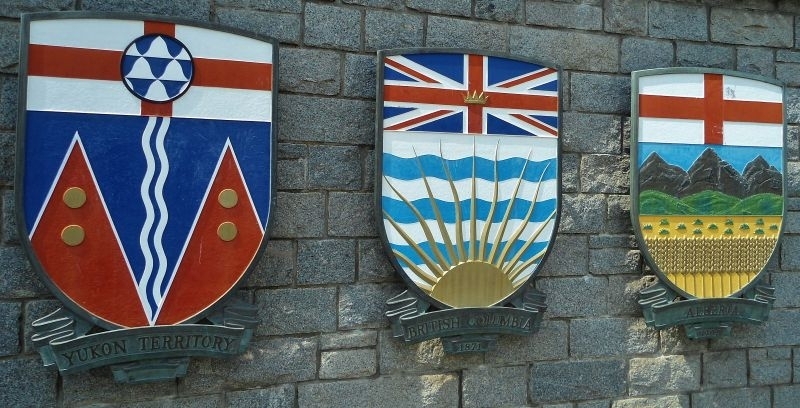 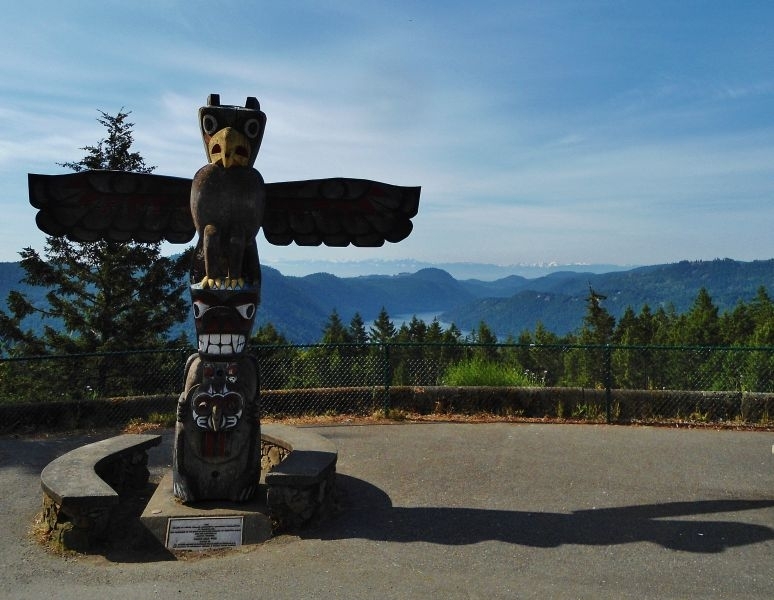 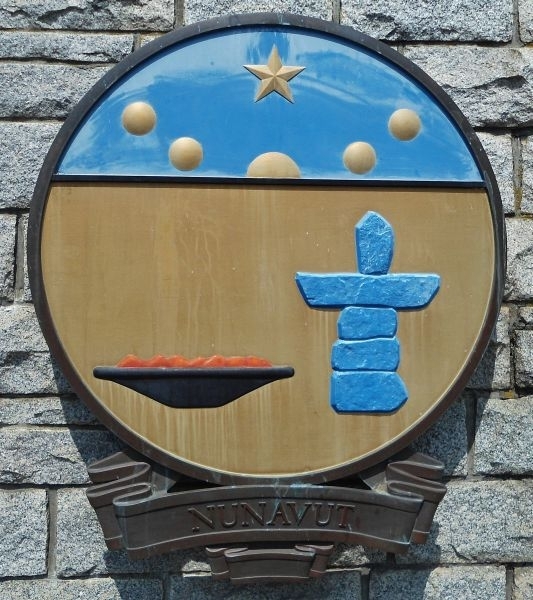 Also dotting the landscape are statues commemorating BC and Canadian history. 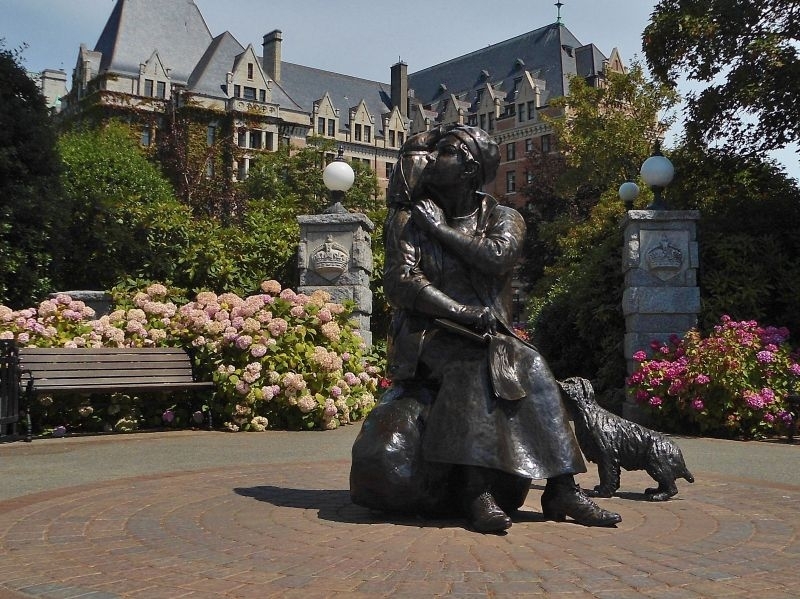 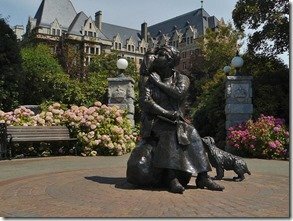 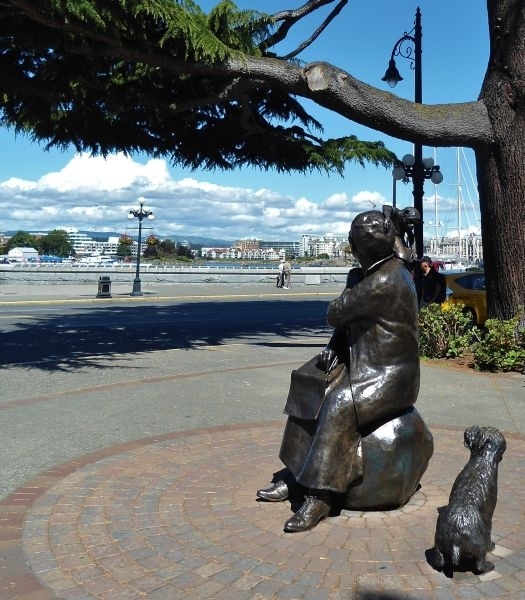 Famed painter/writer Emily Carr has a statue near the Empress Hotel, there is a war memorial to fallen soldiers on the lawn of the parliament building and many more interesting statues scattered about. 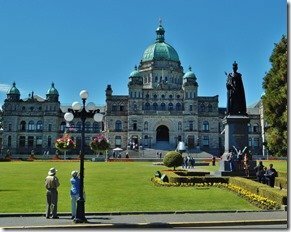 If you look way up on the peak of the Parliament Buildings stands a glittering gold life-sized Captain George Vancouver overlooking the harbour. 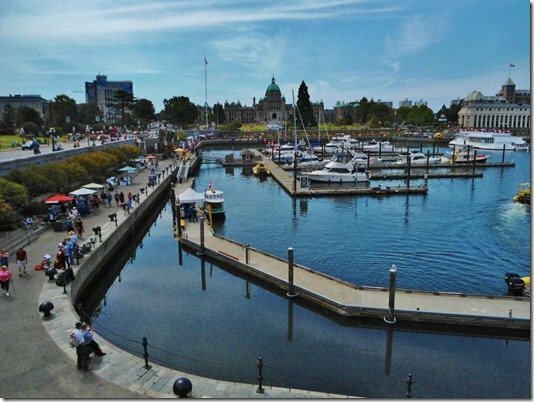 For a huge list of things to do in Victoria’s Inner harbour check out the Tourism Victoria website. 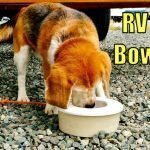 As for RVing, this is an RV blog after all, your choices for RV parks close by is fairly limited. 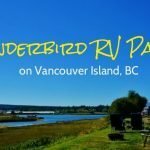 By far the neatest place to stay is at the West Bay Marine Village RV Park. 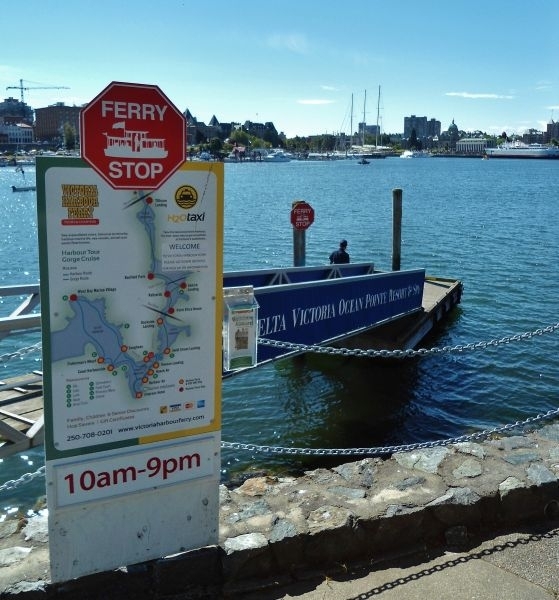 It’s located in nearby Esquimalt but the best reason to stay is the Victoria Harbour Taxi boats stop there, so you can catch one and be in Victoria’s Inner Harbour in a 10-15 minutes. 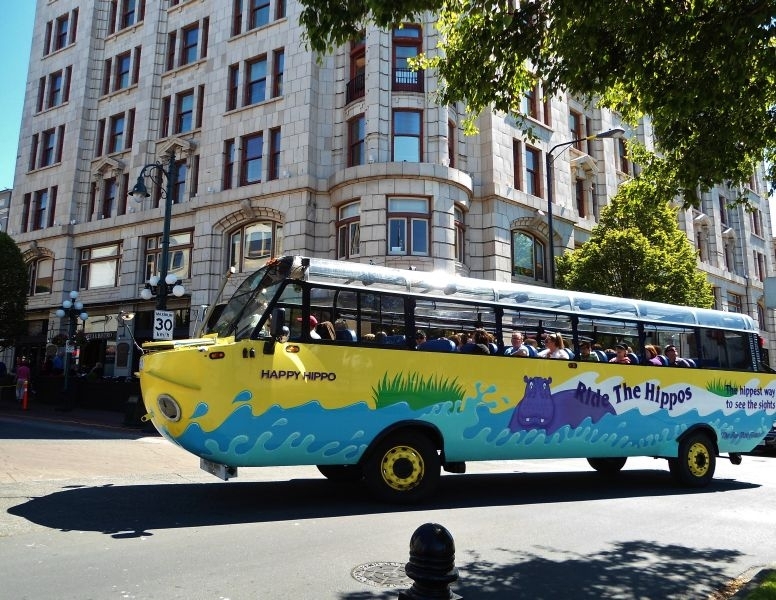 Only thing is it’s got a limited number of spaces and may be difficult to get into during the summer high season. 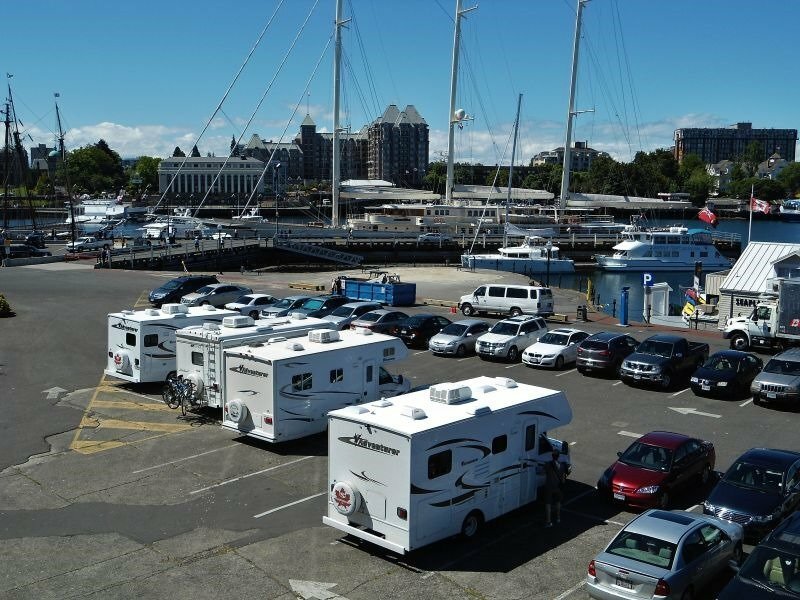 Next is the Fort Victoria RV Park located about 20 minutes away in View Royal. 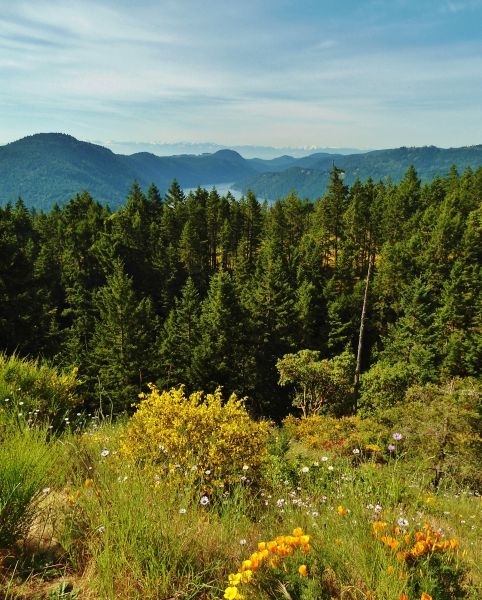 It’s your standard RV Park and a decent choice for visiting as it is centrally located to the Victoria area. 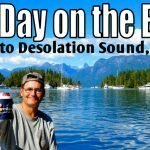 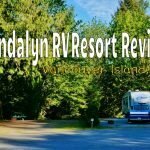 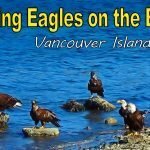 My favorite place to stay is Oceanside RV Resort out towards Sidney, BC. 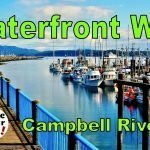 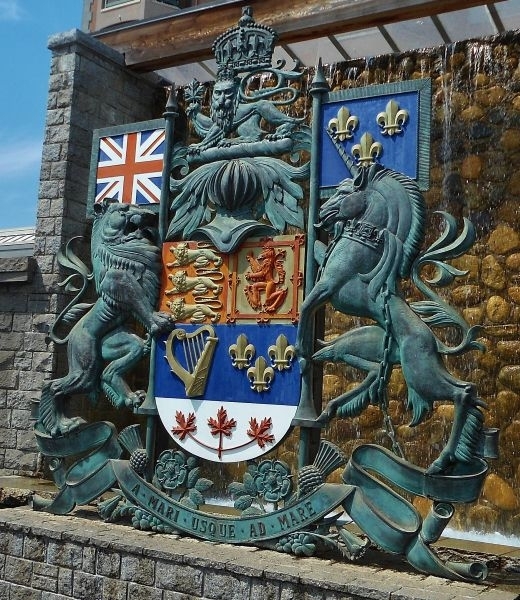 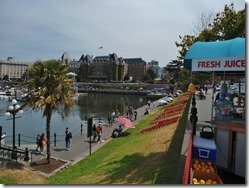 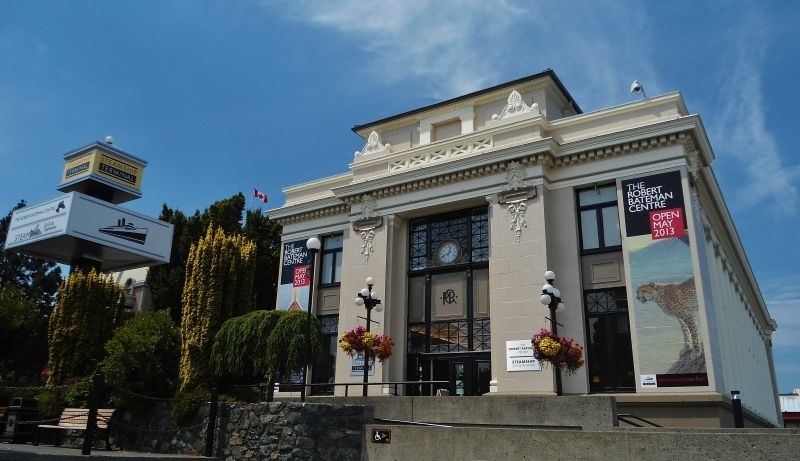 It’s around a half hour drive into Victoria to see the Inner harbour but the trade-off is it’s a little easier access for a big rig, close to the BC Ferries terminal at Swartz Bay and a gorgeous park. 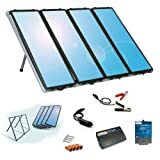 Check out my recent review. 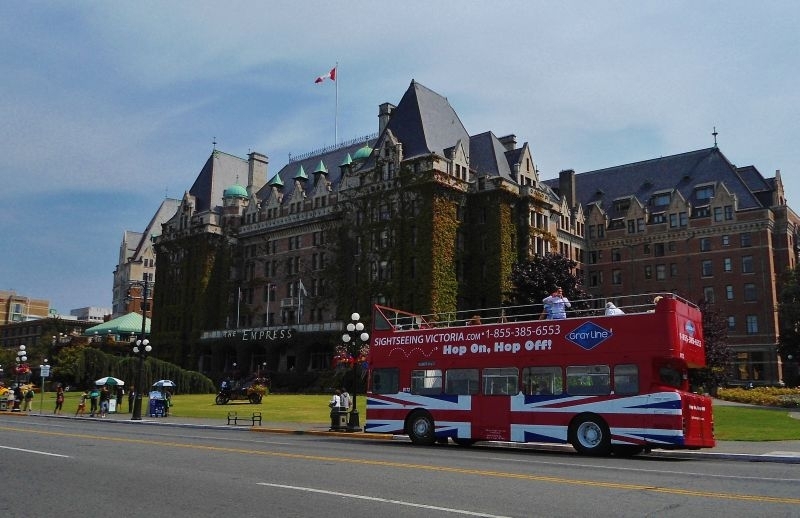 Also world-famous Butchart Gardens is located out this way and you’re going to want to visit there for sure when in Victoria. 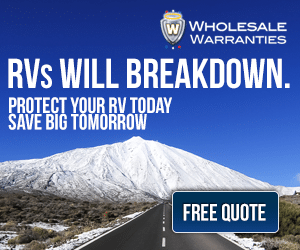 Those are the three I would advise, there are other’s that are a little further afield, you can check here for a listing of RV Parks in the area. 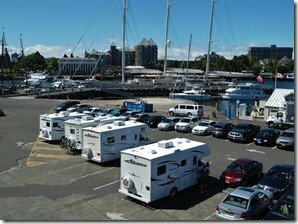 Also on a recent visit down to the harbour area I noticed a parking lot with several RV’s in it, so there is a possibility of parking your RV down there but if it was me I’d leave the rig behind. 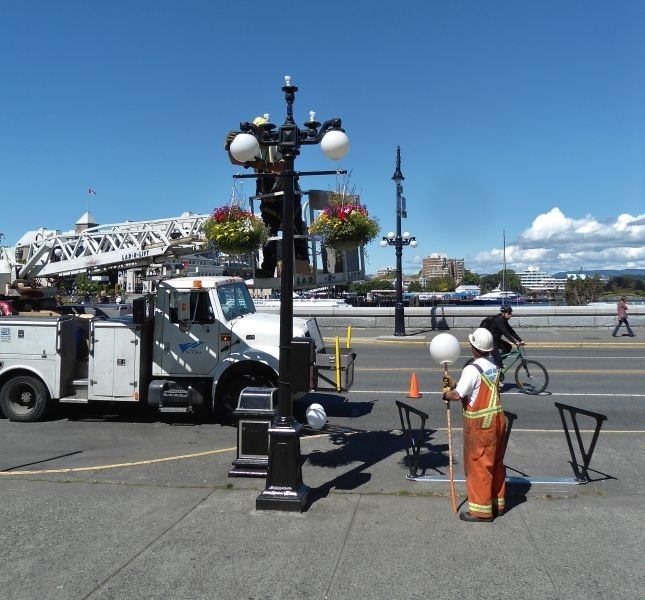 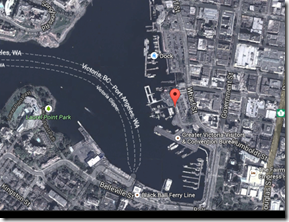 Victoria’s downtown and harbour areas are difficult spots for maneuvering big rigs and finding decent parking spaces. 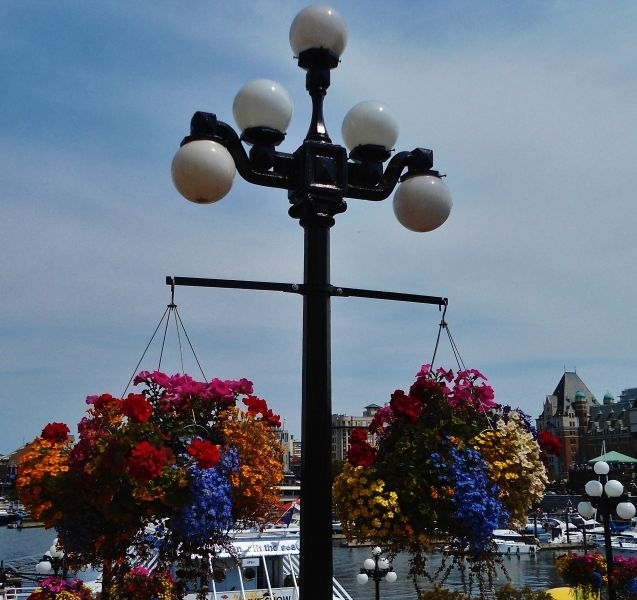 They are best explored by foot, especially on a busy summer day.